Founded in 1905 by 24-year-old Hans Wilsdorf, Rolex created a completely new type of wristwatch when it introduced the world’s first waterproof watchcase: the Oyster case, which still endures as a symbol of solid manufacturing. Since the 1950s,Rolex has continued to lead the watch industry by launching a wide range of models, including the Explorer, Submariner,Milgauss, and Oyster Perpetual Day-Date. 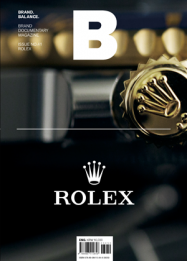 While a number of brands such as Seiko counterattacked with electronic watches, Rolex has adhered to its original brand values by continuing to produce mechanical watches.